In recent years, the grappling arts have proven to be the most effective form of combat in mixed martial arts (MMA) and no-holds-barred (NHB) competitions. Above all others, the Gracie brand of Brazilian jujitsu has become recognized as the preeminent fighting style in unarmed combat. 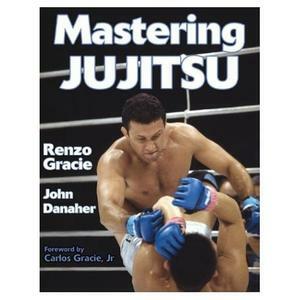 Now Renzo Gracie—one of the most successful athletes in the world-renowned Gracie family—reveals the inner workings of the art. of numerous grappling, MMA, and NHB events. Also an instructor of many students who have gone on to become champions, Gracie now provides that instruction to help you develop the same techniques and strategies that the Gracie clan has used to dominate their opponents. In Mastering Jujitsu, Gracie covers it all in depth—from the art’s origins and techniques to practical applications that even the most experienced black belts will benefit from. Starting with isolated skill development techniques, you will progress to a full set of tactics and fight plans and become familiar with the concept of combat phases. You will learn how to attack from any phase as well as how to react to your opponent. Whether you’re in a bottom position or attacking from the top, Gracie reveals the key strategies designed to give you the upper hand in close combat fighting.